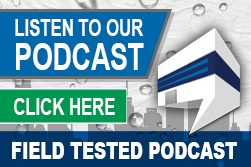 SureCoat Systems has conducted and documented actual case studies that prove the ASTM testing showing 93% thermal emittance is accurate. Located in the desert area of California, the City of Pomona can be very hot in the summer. At the time of this study, the ambient air temperature was only 70 degrees Fahrenheit. 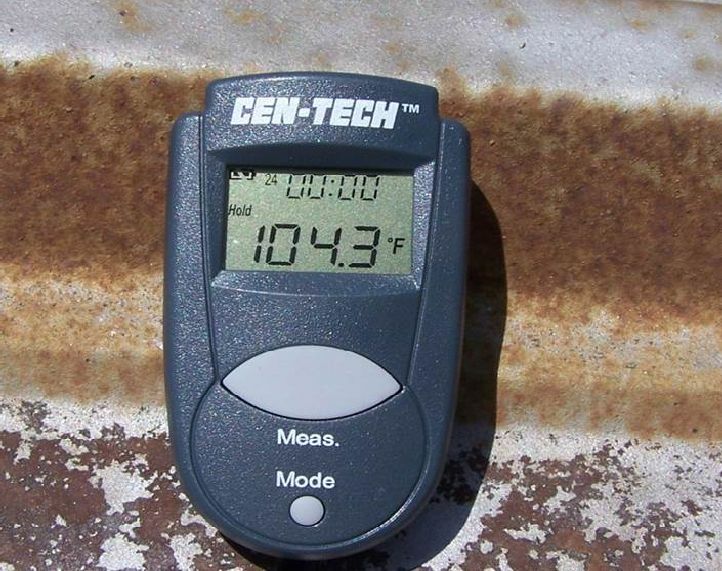 The temperature on the roof was already 104.3 Fahrenheit. 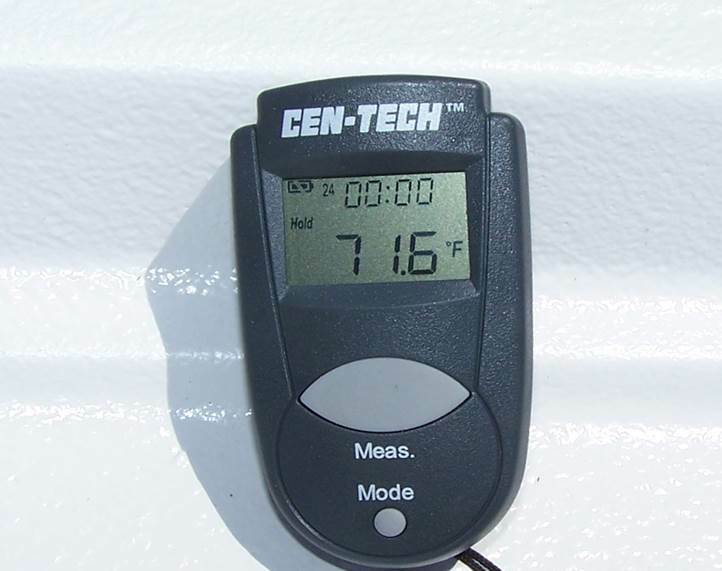 After the SureCoat Roof System was installed, the roof temperature was reduced to 71.6 degrees Fahrenheit. Another study was done on a summer day in Orange County, California. The building on which the study was performed consisted of a BUR. The ambient air temperature was 90 degrees Fahrenheit; the roof was 141.4 degrees Fahrenheit. 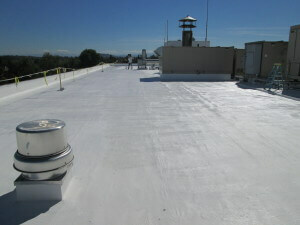 After the SureCoat Roof System was installed the roof temperature was lowered to 97.1 degrees Fahrenheit. Click Here to view BUR Case Study results.